BIGGEST IN EUROPE FOR GLAZED AND OPEN BALCONIES! Balco is the market leader in this industry – we design, manufacture, deliver and install our own open and glazed balcony systems. Our balconies are used on new buildings, renovations and we can even extend existing balconies. 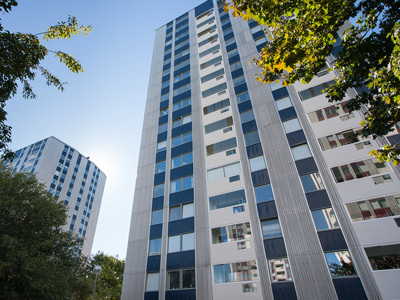 Our wide range of customers include Housing Associations, Local Authorities, tenant owners’ associations, municipal housing companies, private property owners, architects and developers etc. Our head office and production centre is in Växjö, Sweden and we have offices in Norway, Denmark, Finland, the United Kingdom, Germany, Poland and the Netherlands. Design-build contracts - REQUIREMENTS AND REGULATIONS ARE PART OF OUR DAILY LIFE! We agree on how the balconies will be designed in consultation with the customer. To help in this, we produce a computer generated image that shows the intended balcony solution on an existing facade. Every balcony structure is unique and the load requirements vary depending on the balconies location and size. Precise calculations are therefore performed for the fixings and other technical details for all balconies. All production follows a process that is certified according to ISO 9001 and ISO 14001. When all components are ready they are assembled in our production facility and delivered to the project. This makes installation on site faster. The final installation is performed by Balco approved installation teams. When all the balconies have been installed, it is time for final inspection. When this has been done and everything is approved, the building process is complete.. 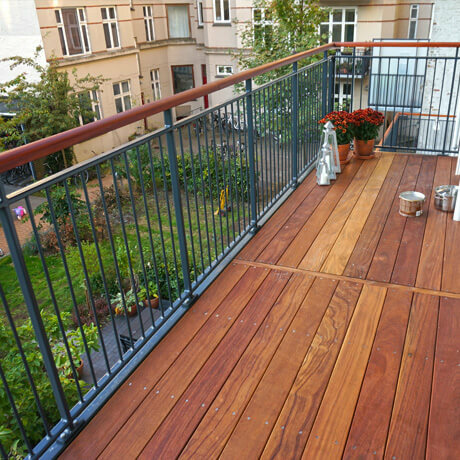 Since 1987 Balco has delivered thousands of balcony solutions to satisfied customers all over Europe. Balco offers comfortable, neat and economical balcony solutions that give a lift both indoors and outdoors. 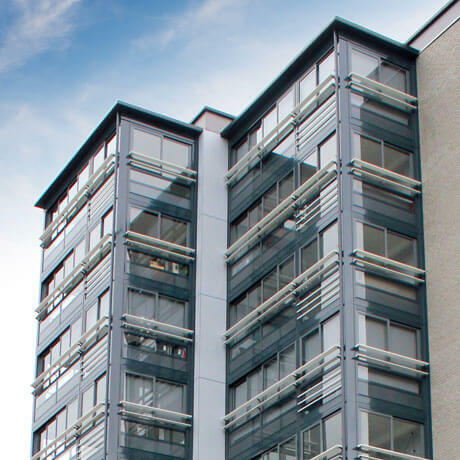 Our glazed balconies enhance the building's characteristics and makes the balconies usable all year round. Our open balconies and railing products give residents a fantastic opportunity to get out into the open.